Google checks the rear view mirror, sees the competition spinning wheels. A lot can be said for the announcements at this past week’s Google I/O conference, but most of what we’ve heard around the Internet tends to come from one of two camps. Either Google has just laid down the gauntlet, or the company has simply lost its mind and is reaching for viability. As we look back over the events of the past week (and even the few months previous), one thing continues to ring in my head: Google is succeeding in the blind spot of others. Now, I won’t lay out a claim like that without backing it up, so here’s what I see. 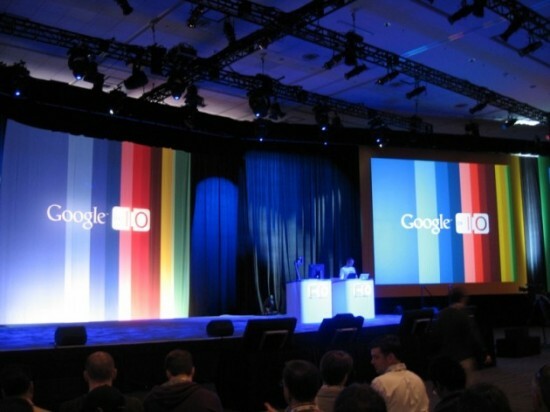 When Google announced Google TV, it didn’t really surprise anyone. We all knew it was coming. However, I ‘m not sure that anyone took into full view the extent to which Google had planned this project. Unlike its closest competitor, Apple TV, Google TV seems considerably less like a back burner project. Where Apple TV has gone blind toward evolving, Google is coming out of the gates with a plethora of options. Apple failed to launch with anything more than a set top box that, while beautiful and full of options, is becoming very quickly dated. Google came out swinging, providing options across the board. Want a TV with Google integrated? Sony will handle that. Only need a set top box? Google’s got you covered. Want all of that to mesh with your existing equipment? Done. Where Apple’s xenophobia lingered, Google came in and simply made a product that will do what we want it to do, without the need to be tethered to anything else. The beauty of open source really comes into play here. Android phones are being activated at a break-neck speed, and features are rolling out quickly. Of course, we can’t talk about features without mentioning the fragmentation across the Android customer base, but that matter is being settled via natural selection of the technology life. Both Microsoft and Apple have seriously goofed in this past year. MS had something very special with Widows Phone 7. It honestly has a lot of potential. But I will almost wager that it will be overshadowed by the Kin phones. Right now, if I were to tell the vast majority of people about a new Windows-based handset, they’d chuckle. The release of the Kin was shortsighted at best, and deadly foolish at worst. Apple? Let’s just say that waiting months for something shouldn’t always have to happen. I talked about this matter at great length in another article, so I won’t beat a dead horse. But again, all of these little things that are bugging people about the iPhone are being handled with grace by Android devices. Oh look! It’s everyone’s favorite buzzword of the moment! Let’s face it, folks. When it comes to privacy, there are more than a few companies that are screwing up right now. Google isn’t without fault, here. But there is one major difference: Google is doing something about it. The company as a whole tends to learn from its mistakes quickly, and quite harshly. We all remember Google Buzz and the privacy alarms. But while other companies have “meetings” about privacy, Google changes things. Instead of “asking and answering questions” behind closed doors, Google tends to be very transparent with users of its services. In a time when more people are concerned, this should be kindergarten logic, but so many other companies simply don’t get it. We don’t care about your meetings, we care about the results of them. If you can’t show us those, then don’t bother. Some will see my points here and call me a fool. TV, a telephone and privacy issues? These are why Google is setting the pace? Well…yes. Google TV isn’t just a product. It’s a philosophy that the company holds very dear. Google pays attention to what the users want, and finds ways to make it happen. Instead of chastising people and asking what they’ve done for tech, Google simply provides great products. The Android 2.2 release is another shining example of Google paying attention to its customers. Y’know what? I want Flash on my phone. Make that happen, and don’t give me a myriad of excuses as to why it won’t. This isn’t about playing video games, this is about wanting access to content, regardless of format. The privacy argument is simply a matter of good business sense. You can’t afford, today, to be closed minded when it comes to matters of business. Corporations, even ones as large as Google, need to realize that their customers do indeed care about what information is being made publicly available. Google is in front, at this moment, and it doesn’t appear that the company will give up its lead anytime soon. Fanboys from both sides will argue and flame, but fact is fact. When you have a company that genuinely cares what the users think of a product, it shows. When you know enough to know that you don’t know everything, you’ve finally figured out what it takes to succeed.